The first computer system incorporating IBM’s TrueNorth computer chip was conceived in Deer Valley, Utah last month, in a mere four days at the Future in Review conference. 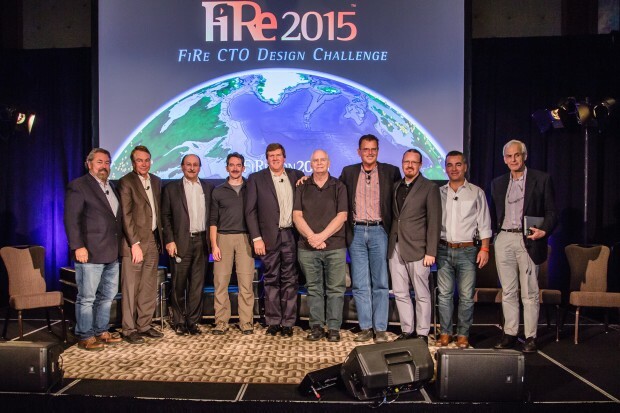 Under the direction of Mark R. Anderson, a handpicked group of computer executives from different companies designed a desktop supercomputer system as part of a CTO challenge at Anderson’s annual conference, also known as FiRE. They designed the Pattern Computer as a general purpose computer, one that runs on any operating system, and is highly efficient, extensible, scalable and unbelievably fast. It will be built using commodity hardware, connect to the new 100Gbps Pacific Research Platform, and run TrueNorth and other new brain-inspired chips as co-processors.